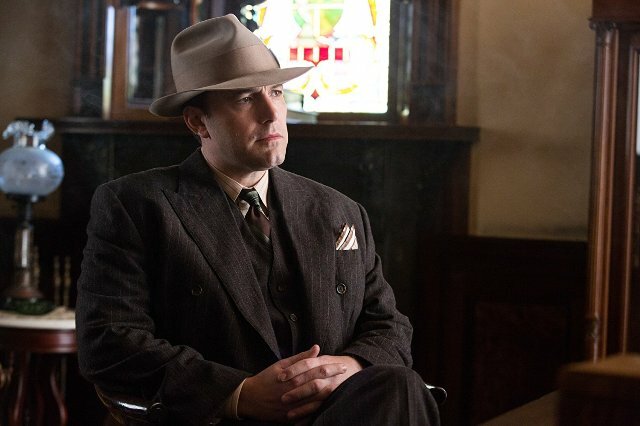 Like him or loathe him as an actor, you’ve got to admit that Ben Affleck has proven his chops as a writer/director. From when he first burst on the scene as a writer in 1997 with Gus Van Sant’s Good Will Hunting, which he co-wrote with Matt Damon, to his subsequent directorial efforts Gone Baby Gone, The Town and Argo, two of which he co-scripted, he has shown himself to be a creator of superior dramas. Now, with Live By Night, he’s done it again. Working once more from a novel by Denis Lehane, he wrote, directed and acted in this impressive gangster movie about a returned serviceman with an anti-authoritarian chip on his shoulder. Coming home to Boston after the rigours of WWI, Joe Coughlin (Affleck) resolves never to take orders from another man and takes to a life of crime. He’s a crook but a crook with principles! When his affair with the girlfriend (Sienna Miller) of leading mobster Albert White (Robert Glenister) brings him undone, Joe heads south to Ybor City, Tampa, Florida. Recruited by mob boss Maso Pescatore (Remo Girone) to run his bootleg liquor business there (this is the time of Prohibition), he becomes a leading crime figure and an important man in the community. His success, however, brings him into conflict not only with the local branch of the Ku Klux Klan but also with his old nemesis Albert White, a situation that must be resolved… by any means. Where Live By Night falls down is that it appears somewhat derivative, leaving you with the impression that you’ve seen it all before - or something like it. This is a solid movie with an excellent cast but, regrettably, it’s not the great movie that it could have been.